Friends of McAllen Commissioner Richard Cortez are urging him to run for Hidalgo County judge. A 20-person committee has been formed and banker Elva Cerda filed an appointment of campaign treasurer on Friday for the Friends of Richard Cortez Hidalgo County Judge Exploratory Committee. 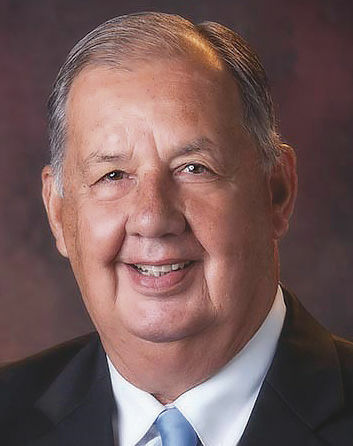 Cortez, 73, was mayor of McAllen for two terms and now serves as city commissioner of District 1, which covers northeast McAllen. Martha Hinojosa is heavily involved in this committee, and if Cortez ultimately decides to run she could potentially be his campaign manager. Hinojosa ran Mayor Jim Darling’s recent re-election campaign and managed more than 10 of former U.S. Rep. Ruben Hinojosa’s campaigns. Cortez would not commit to which party he would potentially run with and has until December to formally file. The primary is in March 2018. County Judge Ramon Garcia has said he doesn’t plan to run for re-election and will support Pharr Mayor Ambrosio “Amos” Hernandez. A similar committee has also been formed for the Pharr mayor. However, Hernandez has not yet committed to running. Former County Judge Eloy Pulido and small business owner and former educator Jane Cross are the only candidates to formally announce their candidacies. Pulido is running as a Democrat while Cross is running as a Republican.